Imphal, May 22 : Manipur has recorded the highest pass index of 72 per cent in the High School Leaving Certificate (HSLC) examination this year. This is the highest pass record in the last decade. 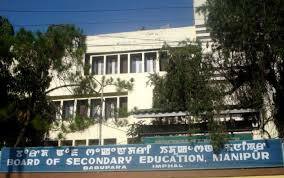 Out of the total 33,579 candidates that appeared for the matric exam conducted by the Board of Higher Secondary Education, Manipur, 24,267 cleared the exam. However, there were no students from government-run schools among the top twenty rank holders. The girls performed better than the boys and dominated the merit list, including the first three positions. According to the board, the HSLC examination pass percentage in 2004 was a meager 36%, but it gradually rose to 39% in 2005, 40% in 2006, 52% in 2007 and 58% in 2008. Although 2009 saw a decline with only 57% clearing the exam, the following years witnessed a steep rise with 61% in 2010 and 71% in 2011. The pass index came down to 70% in 2012 and rose again this year to 72%.